Jeramy Gates - Jamie Sedgwick: The Official Blog: Cover Design Secrets! Are you a great writer who can't even draw a stick figure family to save your life? Do you have some basic Photoshop skills, but no idea how to transform your ideas into an attractive book cover? When I started self-publishing back in 2011, it was a whole different landscape. To most in the industry, self-publishing was considered the last ditch effort of a failed writer. Kindle Direct Publishing was quite new, and there was very little information out there for a first-timer. In the proceeding years, most of those who once denounced self-publishing have either come to grudgingly accept it, or have taken the plunge themselves, hoping to latch onto the gold-rush. Hiring professional editors, book designers, and cover artists -services that were nearly nearly impossible to find back then- has become standard practice. And it shows. These days, beautiful book covers are everywhere. A quick scroll through the Amazon lists will show that Indies have pushed the envelope to a whole new level, and the kind of artwork they're cranking out day after day absolutely destroys the book covers I grew up with. Legacy publishers were notorious for putting out bad covers in the old days. I don't mean that as a criticism. They didn't have access to the kind of software we have today, and their ability to brand a novel with artwork was extremely limited. They were also pressed for time and finances, as they are now, and so can only afford to devote their full attention to sure sellers. When I started looking for cover artists in 2010, I couldn't find many freelancers. Those I found expected me to pay $800 or more for an e-book cover, which was an industry standard price. That was simply not possible. But, like many of my peers, I had some computer skills, and I ran with that. I knew how to use Photoshop. I knew where to find cheap and/or free images. So I went to work. As you can see above, my early covers weren't that impressive. Fortunately, I was in good company. There were a lot of cheesy covers flying around the internet back then. But this is a competitive business. Note the word business is underlined. That's because every Indie author is just that, and every businessperson knows that the moment you quit innovating, you're toast. Cover Design Part One, A Word about Branding:Click Here for link. This post is about the basics of cover design; studying the branding cues for your genre, and arranging things in a way that's aesthetically pleasing. You can't make a cover without some artwork. You can draw and scan it into your P.C. of course, or even upload photos you've taken yourself. If that's not an option, try some of the links on this page. Hint: some stock art is free! Okay, you've found some artwork and you have a cover concept you think will work, but how do you pull it all together? Check here for tips on combining images, adding special effects, and sources for software. Okay, you thought you had the perfect cover concept, but somehow you just couldn't find the right art. There are no photos that look like your characters, and no images to match the scene you want to create. Fear not, all hope is not lost! With the tricks and programs here you can make your own photo-realistic scenes and characters using 3D digital art, and you can get started for free! This brief post takes a look at the changes I made in 2016 to some of my Hank Mossberg covers. Definitely note the changes in series branding as well as the improvements in layout and other elements. 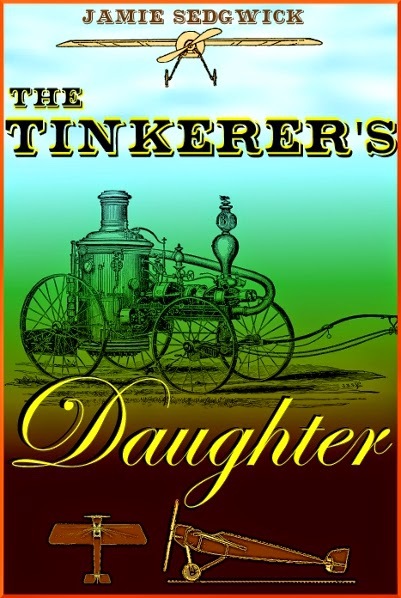 Canva.com is a great, inexpensive resource for ebook covers. Read more about how it works here. 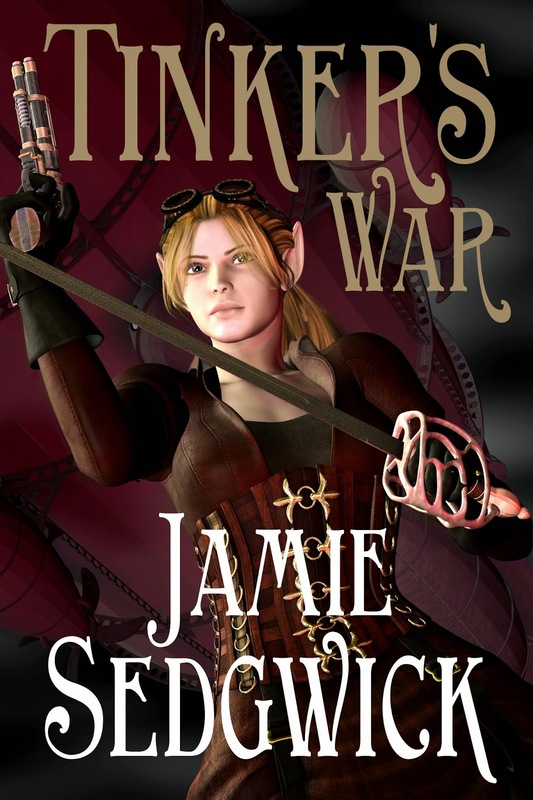 I think your cover graphics are spot-on, Jamie (and that praise is coming from a professional fantasy art illustrator), all which are a testament to the fact that graphic design has not only supplanted, but eclipsed the fine art of illustration. Nonetheless, with your brilliantly illuminated fiction and the cover art that accompanies it, you have proven that you're an artist in the truest sense of the word. Thank you very much Patrick. That means a lot!